Featuring nationally and internationally recognized speaker Janina Kean. Kean introduced treatment for opiate addiction in China's opiate triangle of the world-the Yuan Provence. She taught treatment for alcohol addiction in Saint Petersburg, Russia and converted a 12-Step treatment program in the United States into an evidence based medical model for Substance Use disorder. The American Heart Association Heartsaver® CPR & AED teaches rescuers to effectively recognize and treat adult, child and infant cardiopulmonary emergencies in the critical first minutes until emergency services personnel arrive. Registrants will learn to perform CPR for adults, children and infants (including using barrier devices); relief of choking in adults, children and infants and how to use an automated external defibrillator Responders such as parents, day care providers, camp counselors and others designated to have a duty to respond to medical emergencies because of job responsibilities or regulatory requirements are invited to attend. This course is delivered in three parts. After successfully completing part 1 (online portion of class), students must meet with an AHA Instructor during this Nantucket Community Class to complete parts 2 and 3 for the hands-on Skills Practice Session and the Skills Test. Please note that Part 1 is to be paid for and undertaken independently by the student prior to the start of class. Register below for the Nantucket Community School Skills Practice and Testing Session for CPR & AED Certification (Parts 2 and 3) to secure your place in the class. Part 1 must be completed prior to the NCS class. You will find Part 1 on www.onlineaha.org. On the www.onlineaha.org. homepage, under "Find a Course" use the dropdown "Filter course by topic" to select the Heartsaver ® course. On the Heartsaver page, add to your cart and purchase Heartsaver® CPR AED Online Part 1. Complete Heartsaver® CPR AED Online Part 1. Please be sure to complete the optional infant module of the online portion. It is included in the cost of the online program and will be part of your test. Print the Certification Completion for Part 1. Bring your Heartsaver ® Part 1 Online Certificate of Completion to the Skills and Testing Session Class. Your certification card or a letter will be issued after successful completion of the Practice and Skills Test. Please note: Be sure to confirm that you need CPR & AED only. If you need First Aid/CPR & AED, Register with the Nantucket Community School for the First Aid/CPR & AED class and follow those instructions. Important Reminder: Bring your Heartsaver® Certificate of Completion to the skills session. You will NOT be eligible for the skills practice and testing session if you do NOT have your Certificate of Completion. The American Heart Association Heartsaver® FIRST AID, CPR & AED teaches rescuers to effectively recognize and treat adult, child and infant cardiopulmonary emergencies in the critical first minutes until emergency services personnel arrive. Registrants will learn to perform CPR for adults, children and infants; relief of choking in adults, children and infants and how to use an automated external defibrillator (AED). Participants will also learn general principles of emergency care, medical emergencies, environmental emergencies and injuries. Others designated to have a duty to respond to medical emergencies because of job responsibilities or regulatory requirements are invited to attend. Register below for the Nantucket Community School Skills Practice and Testing Session for First Aid/CPR & AED Certification (Parts 2 and 3) to secure your place in the class. On the Heartsaver page, add to your cart and purchase Heartsaver® First Aid CPR AED Online Part 1. Complete Heartsaver® First Aid/CPR AED Online Part 1. Please note: Be sure to confirm that you need First Aid/CPR & AED only. If you need CPR & AED only, Register with the Nantucket Community School for the CPR & AED class and follow those instructions. Important Reminder: Bring your Heartsaver Certificate of Completion to the skills & testing session. You will NOT be eligible for the skills practice and testing session if you do NOT have your Certificate of Completion. Opioid Overdose Prevention Training (Narcan) is a 1.5 hour harm reduction educational course. 1. Name 5 risk factors for opioid overdose. 2. Demonstrate how to assess for an opioid overdose. 3. Describe 5 harm reduction strategies for decreasing the risks of opioid overdoses. 4. Explain how Naloxone works to reverse opioid overdose. 5. Demonstrate 5 critical actions to reverse an opioid overdose. 6. Demonstrate how to store, assemble, and administer nasal Narcan. 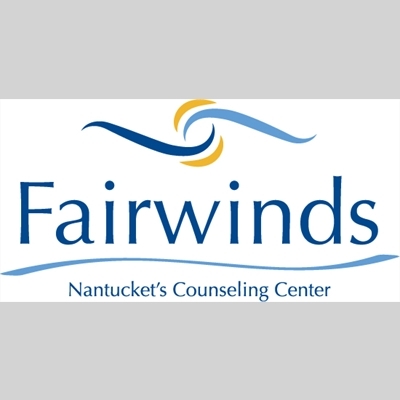 This training is presented free of charge in partnership with Fairwinds - Nantucket's Counseling Center as a free service to support the residents of Nantucket. Advanced registration is requested, but not required. QPR (Question, Persuade, and Refer) Gatekeeper Training for Suicide Prevention is a 1.5 hour educational program designed to teach "gatekeepers" the warning signs of a person at risk of suicide and how to respond. (3) Refer the person to appropriate resources. Trainees receive a QPR booklet and wallet card as a review and resource tool that includes local referral resources. This course is offered for free in partnership with Fairwinds - Nantucket's Counseling Center to support island residents. Advanced registration is requested, but not required. INantucket Community School, in collaboration with A Safe Place is offering Tai Chi for Wellness classes. Tai Chi is a non-strenuous, complete body exercise consisting of a series of slow gentle choreographed movements that improve balance, and relax mental states. This project is partially funded by the Massachusetts Office for Victim Assistance through the Victims of Crime Act of 1984 (VOCA) grant from the Office of Victims of Crime, Officer of Justice Program, US Department of Justice. This class is offered free of charge. Zumba® is a total-body workout, combining all elements of fitness – cardio, muscle conditioning, balance and flexibility, boosted energy and a serious dose of awesome each time you leave class. It is a Latin/World-music based dance workout that has been proven successful for people of ALL ages, from ALL backgrounds, and at ALL fitness/skill levels. Come join the party! Monique Lafreniere has been a licensed Zumba® Instructor and a part of the Zumba® Instructors Network for over a year, and has been an active Zumba participant for over 6 years. Previously, she taught at Plymouth State University and in her hometown of Claremont, NH. 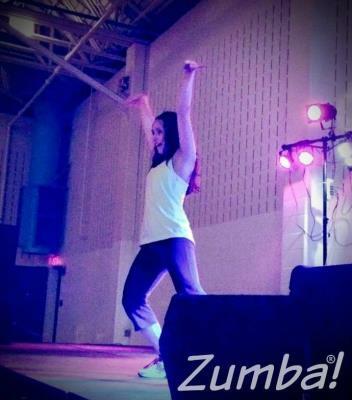 She loves Zumba® because it combines her enthusiasm for world music with her passion for fitness. As a new music teacher in the Nantucket Public School District, she is excited to teach this new Zumba® class for Nantucket's community! Buy a Class Pass Today! Now you can purchase a set of 10 classes for $120.00. Use them whenever you want during the 2018-2019 school year. **Drop-in class rates are available for $15 per person.